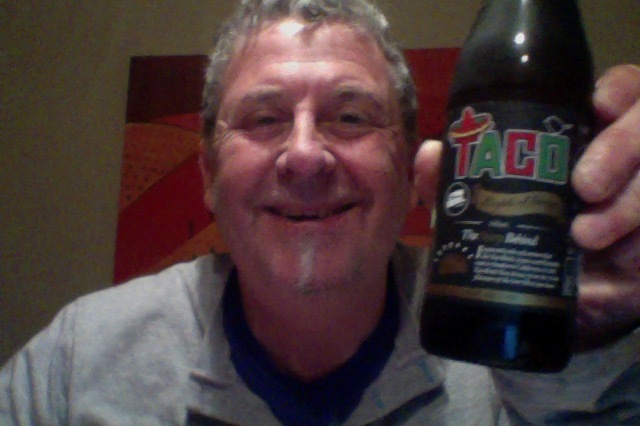 There was a beer festival recently in Auckland and they made a 6 pack of the best beers, this is one of those, the Two Birds Brewing Taco a (Specialty Ale). 330ml ml bottle of a beer that is 5.2% ABV and 156 calories a serve and 22 IBU things, this is would be 1.4 standard drinks worth. Man thinks this has to stop now. Before pouring this beer think coriander, corn, lime and all those fresh and fruity flavours that make Mexican food soooo delicious! Go on, match it with a crispy taco……you know you want to. The beer was inspired by our recent trip to San Diego where we lived entirely on a diet of fish tacos and craft beer! It’s a hoppy Ale brewed with coriander leaf, fresh lime peel and corn. It’s fresh, zesty and dangerously drinkable. And of course, is the perfect pairing for tacos! So stage is set, expectations are high…. Have to say that the aroma from the bottle is like no Taco I ever had, but then I don’t go out often. This does however seem to be alike a grain beer. Odd in the glass too, a musty dull aroma really. But it was nice pour, I’m going with lime juice pale yellow, with a small head. A confusion of tastes all at once, crashing into each other. And a dry finish, that I wasn’t expecting at all. Some lime in this, but I’m not even sure what corn would add or taste like, and there might be room for more coriander. From what I’ve had already I’m pretty sure that this needs more of everything, less of the more lime though, more of the everything else. Has a familiar aroma of corn beer, like a Corona has, and that has lots of corn in it. So pretty much a Corona with a wedge of lime in it then. And there is that gap between the expectation and the delivery – that there is the disappointment. The pdubyah-o-meter rates this as 5 of its things from the thing. If you say you’re going to do a thing at least do the thing. At a festival in the hubbub and hurly-burly you might get away with a bit of bluff. At my leisure it’s a bit obvious that this hasn’t really worked out so well. In my opinion. A pleasant enough beer, but not a beer that you’d hang you hat on, and at the end of the day not that different from a well known commercial brand where you stick a wedge of a citrus in the neck. Where did I get it? It’s he GABS pack from the Liquorland exclusive thing. Am I enjoying it? No, it’s not a beer to light a fire. Would I have another? No. Would I share with a friend on a porch and set the world to rights? For comedy value perhaps, not for taste or experience. This is a good story on paper, not so good in the glass. Anything that is “like a Corona” needs a score lower than 5. Even if 5 is pretty much the lowest score I’ve seen you give a beer. But it had the fancy lime already included, that’s almost worth a point because it saved me milliseconds. 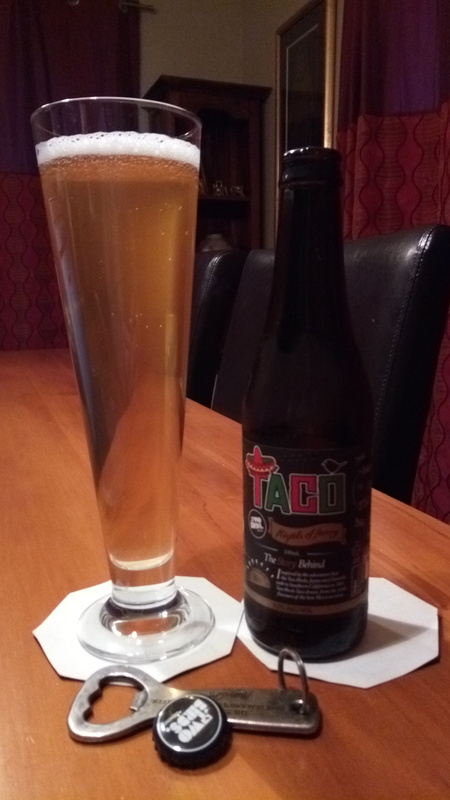 This entry was posted on July 11, 2016 by Philip Walter in Beer of Australia, Beer Review, Craft Beer, Critic, Justsaying, Special/Other, Two Birds, Wheat Ale and tagged Baird Beer, craft beer, Festival Beer, Mexican cuisine, Two Birds Brewing, Two Birds Taco.